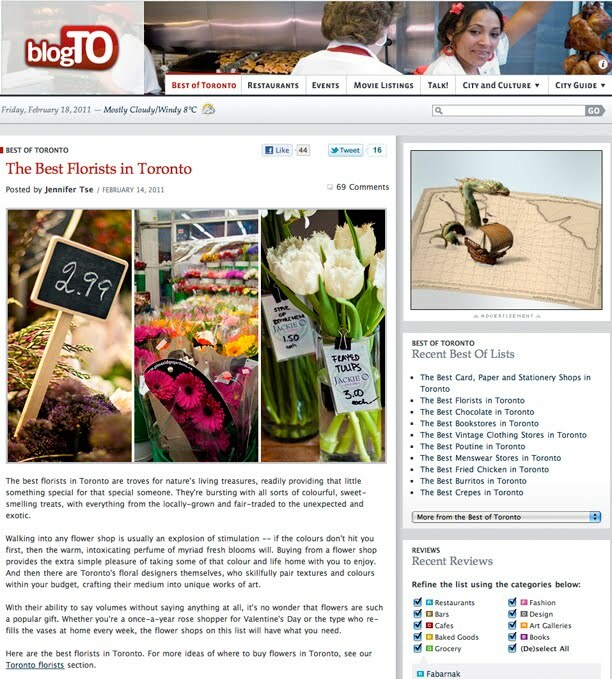 Coriander Girl: Thank you BlogTO! 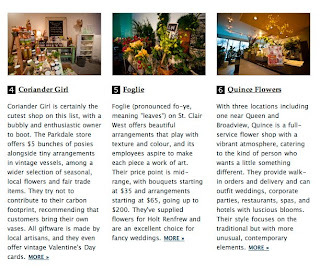 Coriander Girl was voted #4 of the top 12 florists in the entire city!! Thank you so much BlogTO Click here to read the kindest review ever! Way to go, Girl! You rock. awesome! Though your number one in my books! 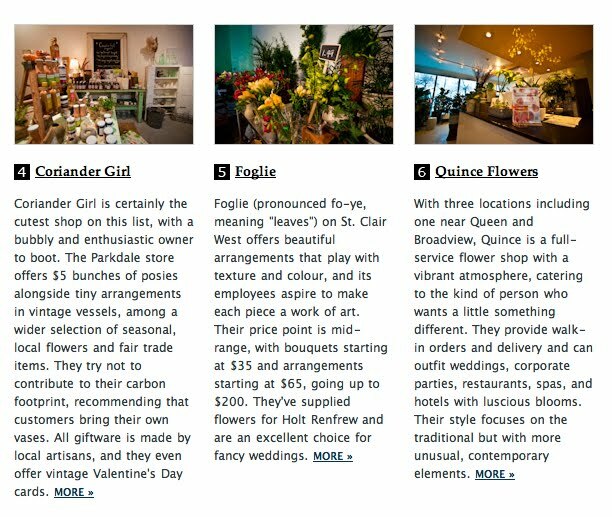 Congrats on another great review and on all your success!! You deserve it for your hard work and enthusiasm!! That has put a BIG smile on my face and perhaps you can hear the song in my heart. Your blogging buddies are hugely proud of and for you. I love it when people live out there dreams! Found your blog through Lillian's Unstitched and have to say I love your style and I LOVE dance parties!! You truly have something special Al. A pocket full of posies..